Regeneration and the creation of local jobs are the focal points of Westfield UK’s community efforts having delivered three major retail regeneration projects in Derby and its two London centres in Shepherd’s Bush and Stratford (the first piece of the London 2012 legacy). Having invested £3.5bn since entering the UK, these projects have created 25,000 new jobs in the UK and over 30,000 construction jobs. A further £2.5bn will be invested and 13,000 more jobs created as Westfield continues to develop in the UK. Supporting children’s health and education is also important and in 2012 Westfield launched its key charity partnership with Save the Children. 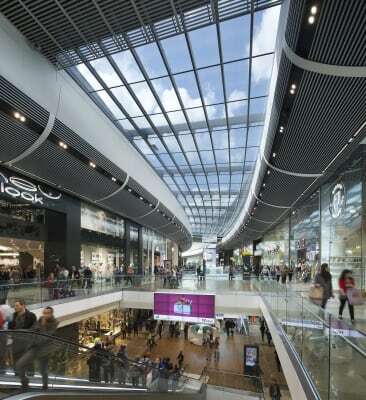 Westfield London and Westfield Stratford City have pioneered the regeneration of two key areas of London. In the West, The White City Opportunity Area is one of the most exciting regeneration opportunities with potential to deliver huge benefits for the W12 area and beyond. Westfield London is seen as a catalyst for the future development and regeneration of the wider White City Opportunity Area, including Shepherdís Bush town centre, and the cornerstone for future investment which is anticipated to be in excess of £1 billion over the next 10 years. Westfield Stratford City is a metropolitan capital for East London, a city within a city, an innovative and dynamic place for a new generation of consumer to shop, to eat, to meet, to be entertained and to stay. At the gateway to the Olympic Park, with spectacular views over London, Westfield Stratford City opens up a whole new vantage point to the public, a new way to see and experience the City. Save the Children has been our nominated official charity partner since 2012. The partnership, launched in 2012 by Samantha Cameron and local Hammersmith & Fulham schools, aims at assisting the charity to achieve their goals through a wide variety of projects that include the charity's major national campaign - Christmas Jumper Day, as well as a number of other events throughout the year such as Mother's Day gift wrapping service national reading programme 'Read on Get On', designer sweat shirt Pop-ups and summer Helter Skelter fun slides!. "Westfield Stratford City is honoured to support Save the Children again this year. Our charity partnerships are an important part of our community programme, and though our in centre activities we invite all of our customers to help us raise awareness and generate funds to change the lives of the young and vulnerable in the UK and overseas." Save the Children is an NGO that operates worldwide to promote children's rights, support children and provide relief in developing countries. Their projects cover a wide variety of areas such as education, economic opportunities, health care and emergency aid in natural disasters. Despite the large campaigns launched in developing countries, Save the Children also focus on the most deprived areas of the UK. Sign up to receive news from Save the Children or find out how to get involved here. Looking for a job at Westfield Stratford City? Find all current job vacancies here. ISO14001 accreditation – awarded in 2013 in recognition of our effective environmental management system and commitment to continuous improvement.